This high-resolution promotional poster print was developed in a very short turnaround for Minute Maid. 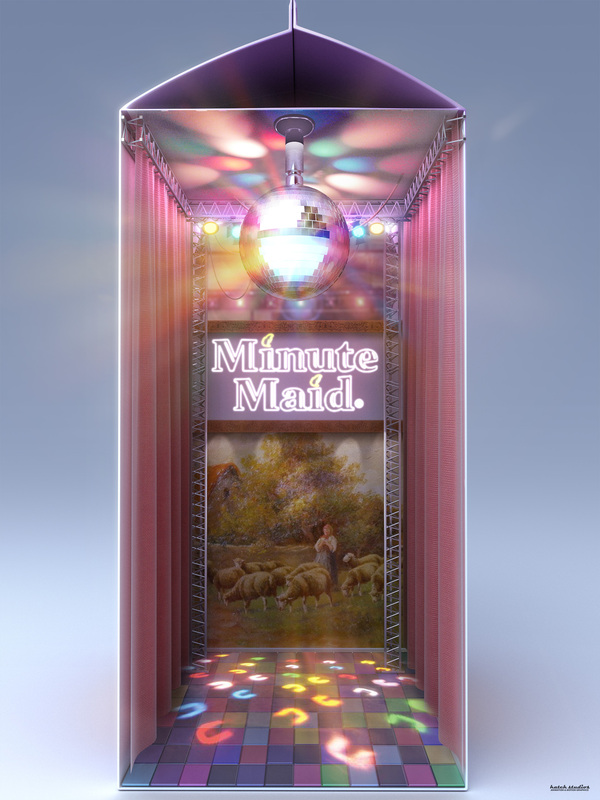 It features a quirky disco settings complete with disco-ball and funky wallpaper. It was created predominantly in 3D so that we could maintain consistent and dynamic lighting. It was composited in Photoshop where heavy color correction and post-processing was performed.